Hydraulic soil erosion is one of the most important natural phenomena driving terrain changes over time. It is associated with a variety of geoenvironmental hazards such as coastline retreat, soil loss and debris flows, and can have severe consequences. 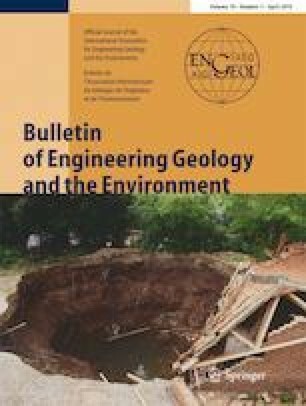 In this work, an erosion criterion was introduced to analyze the water–sediment interaction, and a hydraulic soil erosion model was then established based on the smoothed particle hydrodynamics (SPH) method. Numerical simulations of dam-break flow on a mobile bed and sediment flushing were carried out, and the performance of the hydraulic erosion model was evaluated. The numerical results matched the experimental data well, thus verifying the reliability and validity of the proposed model. This work was supported by the National Science Fund for Distinguished Young Scholars of China (grant no. 41625011), the Open Fund of State Key laboratory of Geohazard Prevention and Geoenvironmental Protection (Chengdu University of Technology; grant no. SKLGP2017K005), and the Open Fund of Key laboratory of Geological Hazards on Three Gorges Reservoir Area (China Three Gorges University) through grant no. 2018KDZ01.